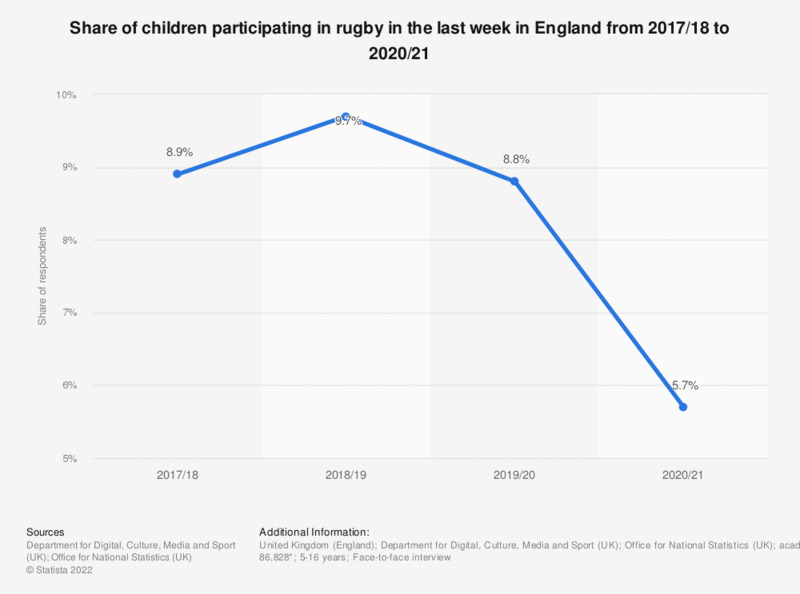 This statistic presents the share of children who participated in rugby in the last 4 weeks in England, as of annual surveys conducted between 2010 and 2018. The highest share of rugby participation for the children between the age of 11 and 15 was recorded in 2011/2012. Approximately 22.8 percent of the children participated in rugby in the last four weeks. Since 2014/2015 the participation rate for the same age group has been steadily falling, reaching 14.6 in 2017/2018. Do you currently do any kind of sports?